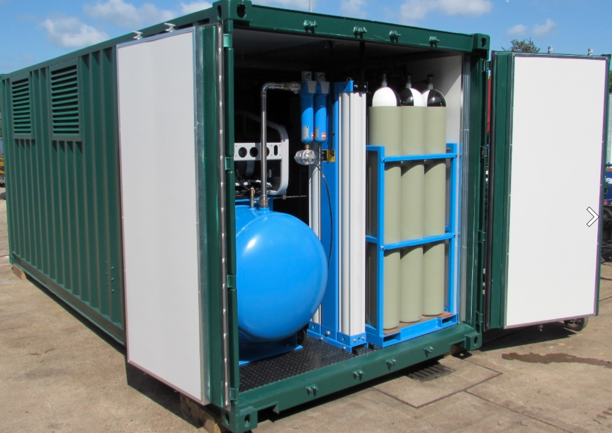 Factair has established an enviable reputation for the design and manufacture of containerised breathing-air systems. Factair's custom built units are in use in a variety of locations and industries including aircraft maintenance, nuclear facilities and steel works. 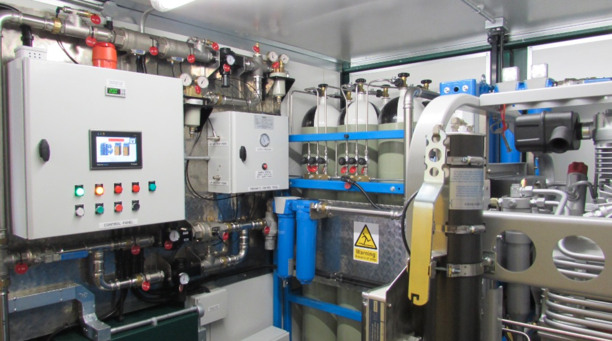 These self contained units include their own emergency high pressure reserve systems. In addition gas detection systems can be fitted to monitor the quality of the air being drawn into the compressor intake and automatically switched to the reserve system should it be compromised. As part of Factair's on-going service and support the latest units include automated monitoring equipment which allows the condition of the equipment to be monitored remotely via a modem connection. Sale or long-term hire options available.